Back pain is one of the most common symptoms reported by the majority of the population, often as a result of a variety of injuries or conditions. 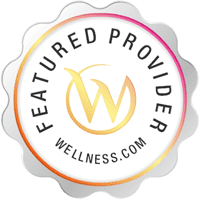 Almost everyone has felt this type of pain and discomfort at some point in their lifetimes and for those suffering from the painful symptoms, performing normal, daily activities can become difficult and impairing. If the individual is experiencing constant, worsening back pain, however, the source of their symptoms could be more serious, such as a disc herniation or disc bulge. The spine is a complex structure consisting of many vertebrae which are stacked upon one another and each of these bones are separated by spinal discs. The vertebral disc in the spine primarily function as a shock absorber between the adjacent vertebrae. Spinal discs also act as ligaments to hold the vertebrae of the spine together and as cartilaginous joints which allow for slight mobility in the spine. Each disc is composed of two parts: the annulus fibrosus, a tough, circular outer portion which surrounds the inner core, and the nucleus pulposus, the soft, inner core consisting of a loose network of fibers. The structure of a healthy, vertebral disc is compared to that of a jelly doughnut. The complex composition of each disc evenly distributes the force and pressure which is applied on the spine. At birth, approximately 80 percent of the discs are composed of water and these must be well hydrated to function properly. However, as people age, the structures of the spine, including the discs, go through a natural process of degeneration which is generally the leading cause for disc complications. As individual’s age, the spinal discs begin to dehydrate and become stiffer and fragile, causing the disc to be less able to adjust to compression and stress. While this is a normal process, the stage may be painful for some individuals and can ultimately cause a disc herniation, disc bulge and other issues within the discs of the spine. 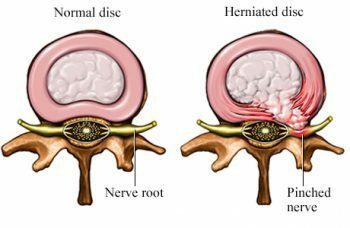 A disc herniation is identified when the nucleus in the center of the disc pushes or protrudes partially or completely through the annulus and squeezes out of the disc. A disc herniation or a disc protrusion are two words used to describe the same condition. When a disc herniates, the contents may spread out to the spinal cord and spinal nerves, often compressing these structures and causing a variety of symptoms. The impingement of the nerves can irritate the nerves surrounding the disc herniation, causing swelling and pain. In addition, when a vertebral disc protrudes through the annulus, the chemicals found within the disc’s gel-like nucleus can cause irritation and swelling as well. A disc bulge is characterized by a deformation of the annulus where the disc is not necessarily herniated. When a disc bulges or prolapses outward, the nucleus presses against the wall of the disc but the material is still contained within the disc without squeezing through the annulus. 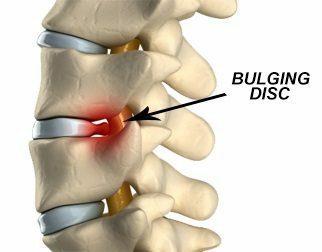 Additionally, a disc bulge can cause just as much complications as a disc herniation where the vertebral disc may still push against the spinal canal and its other structures while not breaking the disc open. The disc remains intact except a small bubble pops out attached to the disc. A disc herniation or a disc bulge generally develops along the lumbar spine or lower back, although these can also occur in the neck, or cervical spine. Many individuals can have spinal and disc complications without being aware of them as sometimes, no symptoms may be present when there are disc issues. In most cases, the disc itself is not the source of the pain but a nerve compression or impingement caused by a herniated or bulging disc can develop the variety of symptoms. If the disc complication is located along the individual’s lower back, the pain and discomfort can usually be felt in the buttocks, thigh and calf. This can also involve part of the foot. If the individual’s disc complications are located in the region of the cervical spine, the symptoms of pain can be experienced along the shoulder and arm. The pain and discomfort associated with a pinched nerve caused by a disc herniation or disc bulge can usually worsen with certain movements of the spine. Because these disc complications compress the nerves of the spine, many individual’s affected by the conditions report feeling numbness and tingling sensations in the region of the body where the affected nerves are located. Ultimately, when an individual is experiencing symptoms of sciatica, it’s recommended to properly diagnose the source of the pain and discomfort as these can also occur if there’s a presence of a disc herniation or a disc bulge which may be compressing the nerves along the lower back. Furthermore, the muscles and other tissues surrounding the area of the disc herniation or disc bulge can also be affected by the impingement of the nerves in the region, leading to muscle weakness. Depending on the affected muscles, individual’s affected by the conditions may stumble constantly or their ability to lift and hold items may become impaired. 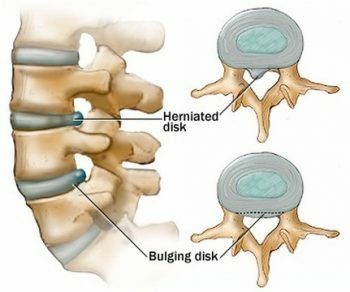 A disc herniation or a bulging disc can develop as a result of the spine’s natural degeneration with age, in rare cases, lifting large, heavy objects can lead to spinal complications as well as twisting and turning while lifting, Additionally, trauma from an injury, such as a fall or a blow to the back, can rarely cause a disc herniation or a disc bulge. Albeit the process of aging and the normal course of degeneration the spine and the rest of the body undergoes is unavoidable, a disc herniation or a disc bulge can, in many cases, be prevented with several simple steps to reduce the risk of a spinal issue. Exercising regularly and maintaining a healthy weight can both slow the degeneration of the discs by adding strength to the muscles to help stabilize the spine while avoiding excessive strain on the back. Also, maintaining a proper posture and avoiding heavy lifting can relieve the back of any unnecessary stress to ultimately avoid damaging or injuring the complex structures of the spine. Chiropractic care can also help maintain the overall health of the spine. Through the use of spinal adjustments and manual manipulations, a chiropractor can correct a spinal misalignment, restoring the original structure of the spine and reducing symptoms as well as preventing spinal complications due to spinal degeneration.